Comment: I had flooding in the basement area of the home. I would like a mold inspection and remedial action if warranted. It is an unfinished space with concrete floors and some shale rock walls. I have some wooden storage structures down there. ServPro has mitigated the water damage and dried to their satisfaction. I may be selling the home in the fairly near future and would like a certificate stating that the premises are free of mold and other problems. Comment: Modular home built 1999. We just moved in. Do we have insulation? Adequate windows? Efficient furnace? Comment: House building warranty about to expire. Need to inspect and submit a punch list for builder to complete. Comment: I am purchasing this home after renting it for 2.5 years. Interested in complete inspection of systems, structures, etc. Prompt Heating and Air Conditioning, Inc.
A & H Construction and Resoration, Inc.
Medford Home Inspectors are rated 4.92 out of 5 based on 67 reviews of 8 pros. 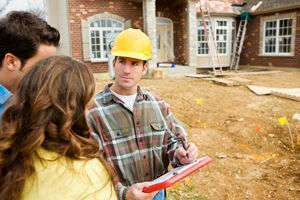 Not Looking for Home Inspection Contractors in Medford, OR?